Home / Blog / What is the correct answer? Tags: What is the correct answer? The following mathematical equation has made its rounds on the internet, and a lot of people have debated the correct answer. The equation goes as follows: 6 – 1 x 0 + 2 ÷ 2 = ? What is the correct answer to this algebraic problem? Two of the most common answers are seven and one. 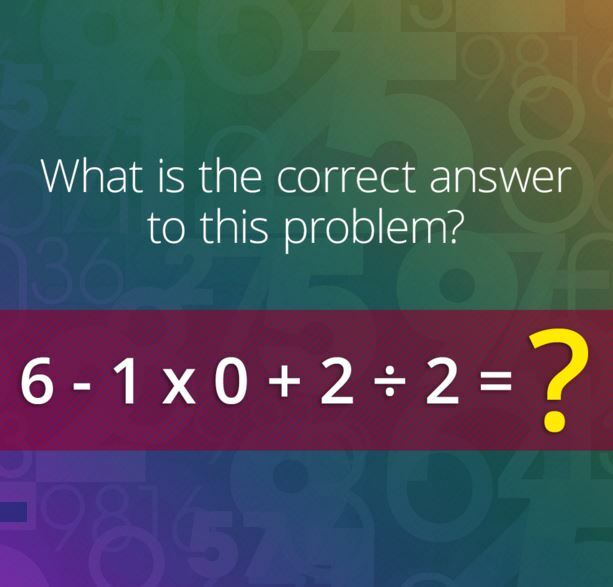 Can you solve it?